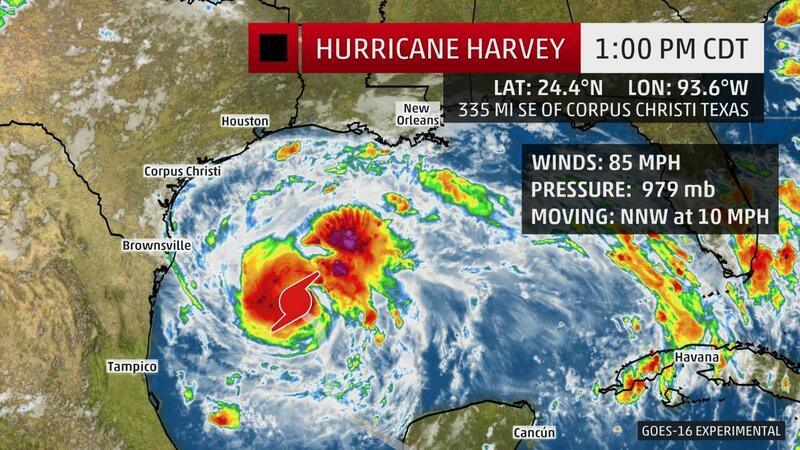 Spring, Texas – August 24th, 2017: Harvey has been upgraded to a Category 1 hurricane, Thursday afternoon. Harvey is expected to develop into a Category 2 hurricane this evening and then to a Category 3 before it makes landfall on Friday afternoon. Harvey is currently located 335 miles southeast of Corpus Christi and is moving NNW at 10 MPH with maximum sustained winds of 85 MPH. Check out our LIVE VIDEO with the Harris County Office of Emergency Management.